About Him: Giuseppe was born in Brooklyn, NY and moved around as a child. At the age of 12 he ended up in the Central NY Leatherstocking region in Oneonta. The name Oneonta is an Indian word meaning “City of the Hills” it was those surrounding hills that he found his passion for upland bird hunting and Pointing breeds of birddogs. Since then he made his way south living in Long Island with his Beautiful Wife and 2 children. 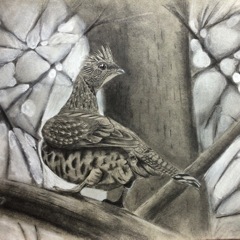 Although, he lives in the city…his heart is in the coverts of Grouse country. About Hunting: He loves a good old orchard, Aspen stand or Alder patch to chase Grouse and Woodcock when the flights are in! Deer hunting, Turkey Hunting and Fishing. Has traveled to many states in search of the best coverts and intends on traveling more in accomplish his dream to bag every available Game bird species worldwide. DREAM!!!!!!!!! 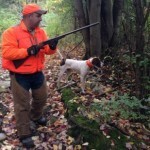 About Guns: Giuseppe has had a number of different guns for Upland hunting. He grew up Shooting Ithaca/SKB’s which are underrated in his book. Most of his hunting is done with an Ithaca SKB model 100 or 200E. He also loves his classic Ithacas, LC Smith, Parkers, Fox and Browning. Having been brought up with Italian and Spanish imports it was only logical to migrate back to the domestic classics once he learned more of their history being manufactured for the most part within an hour from where he was raised. About Dogs: His kennel has had many different breeds going through its gates. Predominately a Brittany and English Pointer lover through the years. 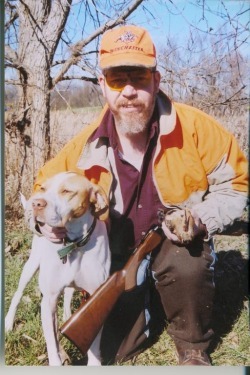 The Britts he owned were the offspring of a dog who taught him of what Bird dogs are and how they should hunt and behave. It was in the English Pointer that he found the intensity and style that peaked his interest and has remained since. 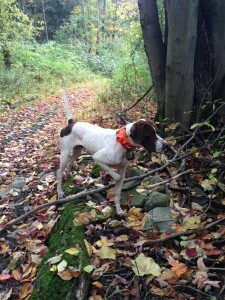 He currently has a Pointer named “Fatso” who is coming along and is always eager to hunt! About Him: Sam Glasbergen is a relative newcomer to grouse and woodcock hunting. 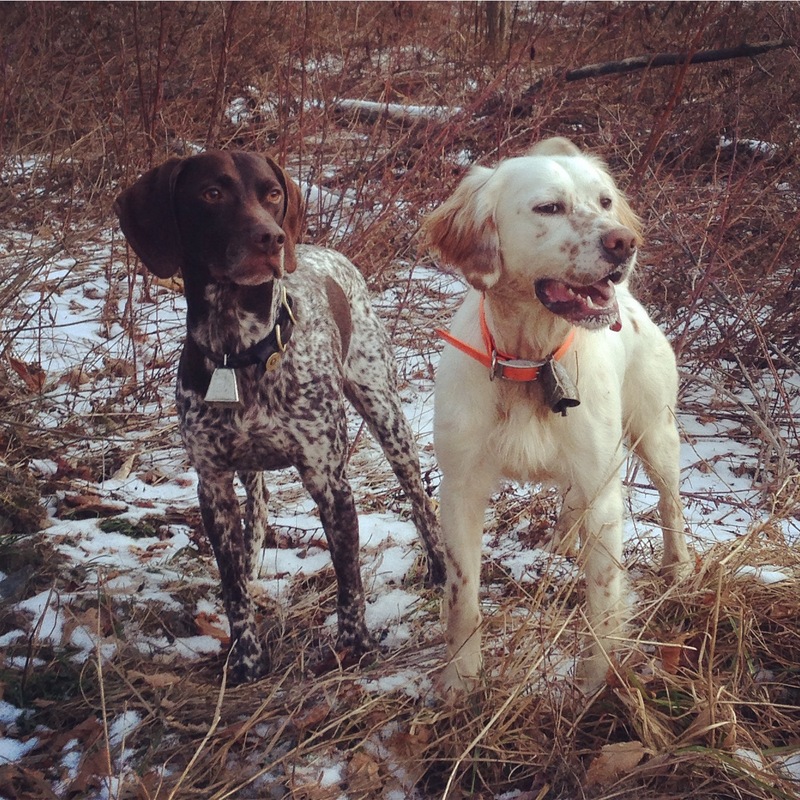 Having grown up in a non-hunting family, Sam took it upon himself to learn the secrets of the grouse woods by spending hours afield with his German Shorthaired Pointer, Liam, and his young English Setter, Gus. What he and his crew lack in experience, they make up for with a strong passion for the uplands. Sam finds tranquility among the scattered stone walls of upstate New York forests, listening to the clanging of bells around his dogs’ necks. When not hunting(or thinking about hunting), Sam spends his time pursuing a homestead dream with his fiancé by raising chickens, quail, and rabbits. They enjoying the fruits of their labor by turning yard to table ingredients into gourmet meals. About Hunting: Sam lives for that first hard frost in October, when leaves fall and make challenging shots at grouse a little less challenging. His ideal covert is an overgrown apple orchard where grouse gorge themselves on tart green apples and flush in thunderous coveys. Occasionally, Sam and his boys will chase stocked pheasants as a reminder that not all upland hunting has to be a challenge. Someday soon, Sam will make it out to the lake states to experience a 30 flush day, but in the meantime, he and his dogs will cherish their upstate New York coverts. About Guns: At this stage in his life, Sam will shoot just about any gun that shoulders nicely, weighs little, and goes “boom.” Like every serious grouse and woodcock hunter, he covets sub gauge vintage doubles, and will one day own a cabinet full of them. In the meantime, he occasionally shoots a 12 gauge LC Smith passed on to him from his grandfather, but his gun of choice for long days afield is a 28 gauge Turkish made over/under that he doesn’t mind getting a bit beat up. 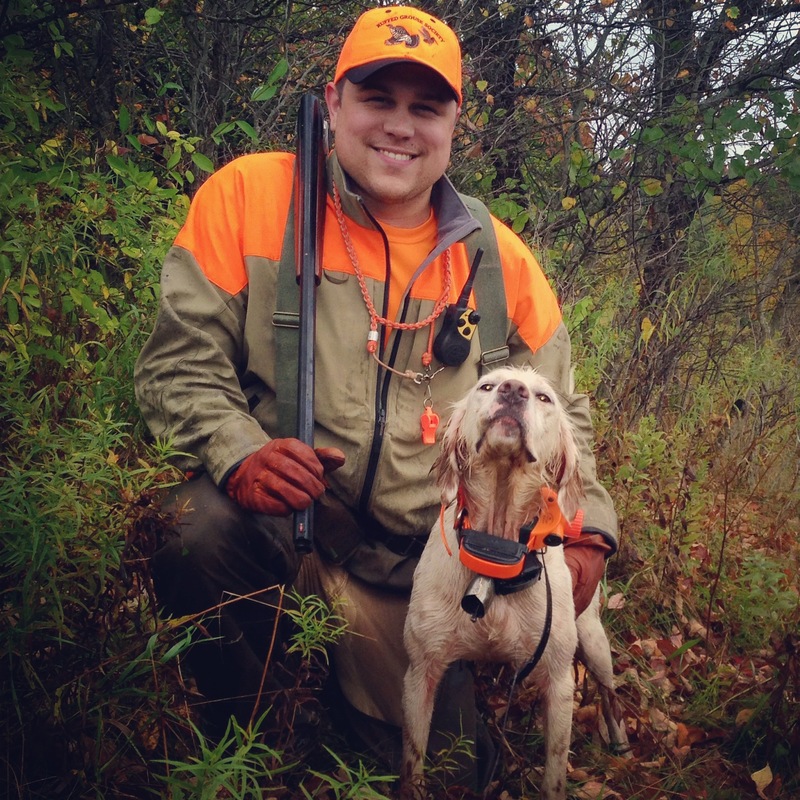 About Dogs: Sam’s passion for upland gunning developed along side his first bird dog, a German Shorthaired Pointer purchased while he was in college. Liam took some time to develop, but at 6 years old he has become one hell of a grouse dog! 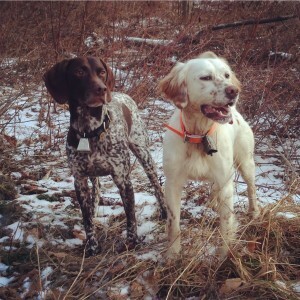 He is currently training a 1.5 year old English Setter, who tests his patience daily, but has potential to be a force to be reckoned with in the woods. In his opinion nothing beats the elegant looks and history of English Setters in the uplands. 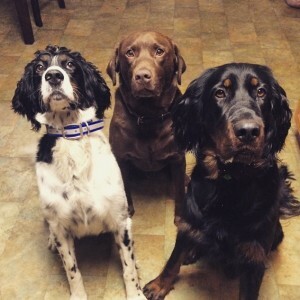 Sam plans to build a kennel to accommodate a few more dogs, and while he prefers setters, there just might be room for a small black and white Pointer. A writer, artist and photographer living in the cascades where he has the grouse hunting all to himself. He shares the field with an English and Gordon setter. 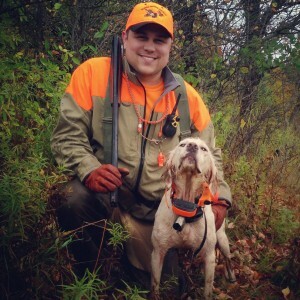 About Him: Andrew M. Wayment (Andy) is an attorney by profession and an outdoorsman by passion. Andy is a partner with the law firm, Tolson & Wayment, PLLC in Idaho Falls Idaho where he helps clients in and out of Court. Andy’s family includes his wife, Kristin, four daughters, two sons, and two Brittany’s, Sunny and Misty. 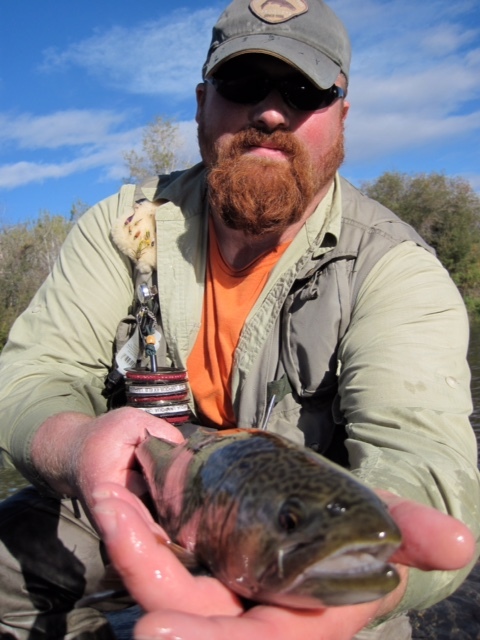 In his free time, Andy enjoys writing and has published numerous articles on upland bird hunting and fly fishing in various magazines and the local newspaper. His first book is Heaven on Earth Stories of Fly Fishing, Fun & Faith. When Andy is not at work or with his family, you may find him at the river waving a fly rod or in the grouse woods toting a side by side and following his bird dogs. About Guns: I hunt with a 1927 Ithaca NID 20 gauge and a 20 gauge Ruger Red Label O/U. Sunny and Misty at work! 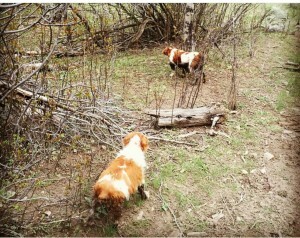 About Dogs: He hunts the wilds of Idaho with his 2 Brittany’s! About Him: Landon is a 22 year old College student from Maine with a passion for music, the outdoors, and above all else chasing partridge and woodcock through the coverts of Northern New England (specifically Down East Maine)! Landon comes from upland tradition. His great grandfather raised and trained English and Irish setters for bird hunting in northern Michigan before moving his family to southern Maine where hunting (as well as red hair) took a few generations to reoccur. Not having anyone close to him growing up that hunted Landon nurtured his love for the king of the game birds through the writings of Burton Spiller, Aldo Leopold, and George “Bird” Evans (to name a few…). 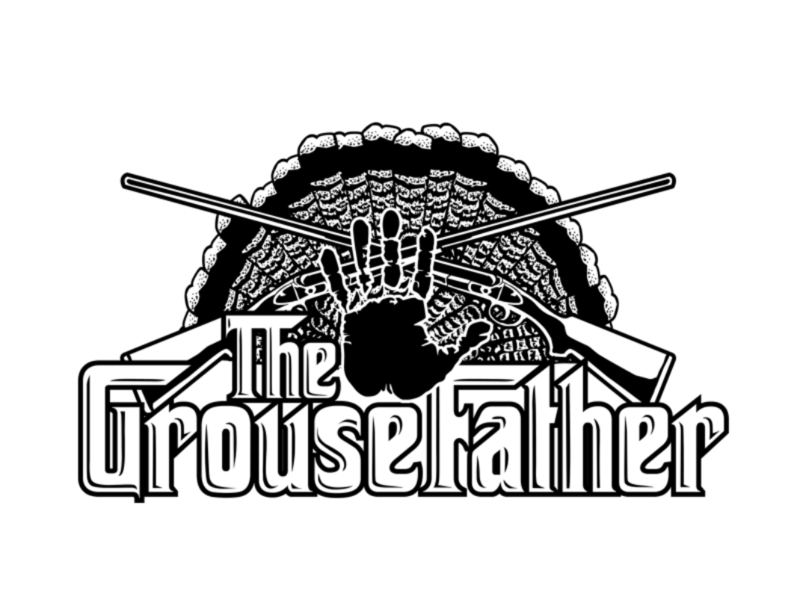 In the fall of his freshman year of college in down east Maine a group of upper classman with bird dogs and an overdeveloped sense of fun took him under their wing and brought him out bird hunting, and the rest as they say is history! Four years later he is the owner of a classic American side by side, a growing library of upland hunting literature, and a passion for the sport unlike anything else in his life (his parents now refer to it as “his religion”). 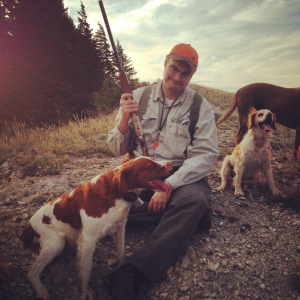 To Landon the conservation ethics, nostalgic mystique, and overall challenge associated with hunting grouse and woodcock are what make it pinnacle of sportsmanship and the most noble of outdoor endeavors. He is currently studying Outdoor Recreation Management with a concentration in natural resources which he hopes to use to conserver habitat for upland birds, and increase interest and participation in grouse hunting to new generations. Landon is soon to become a registered Maine Guide, and has plans to purchasing his first bird dog as soon as he graduates this spring. About Hunting: Landon is a true “Main’ah” and nothing makes him happier that walking along an old stone wall through an abandoned orchard during the crisp months of autumn. He has worked hard to become a good bird hunter with a highly refined knowledge of what is and isn’t grousey! Described/teased by his friends for being an old man from an L.L. Bean catalog he wears too much wool, smokes a pipe after each hunt, and refuses to use anything other than a side by side shotgun. Landon works hard to catalog the details of each and every one of his expeditions into grouse country, and is very analytical about the wellbeing of birds in his area as well as his own development as a hunter. For Landon, bird hunting is the carrot that keeps him in shape, challenges him to study harder and continue learning, and allows him to reflect and derive meaning from the natural world. 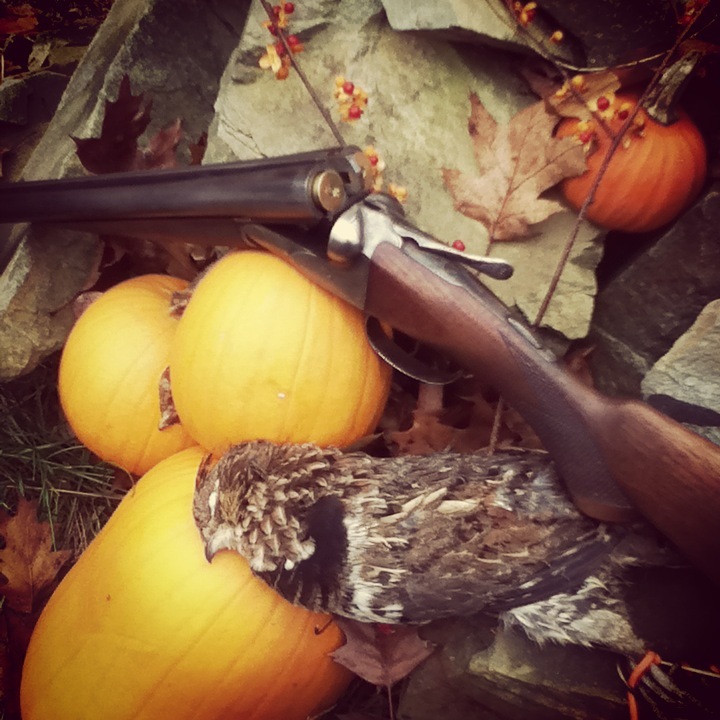 About Guns: Landon began bird hunting with an ancient and decrepit Sears and Roebuck single shot twelve gauge affectionately named “Thumper” given to him by his father, which he now breaks out once or twice each season if only for posterities sake. Primarily he hunts with a 12 gauge AH Fox Sterlingworth named “Mrs. Rose” that he paid and obscene amount of money for (on a college student’s budget). Someday (soon he hopes) when he lands a grown up job he plans to find himself a nice sweet sixteen Parker and settle down with her. About the writer: Raised in northern Michigan and grew up in the grouse woods of Montmorency County. He came into upland bird hunting honestly by simple rite of passage and osmosis. Though currently held against his will in Dayton, Ohio, his heart’s compass always points north. 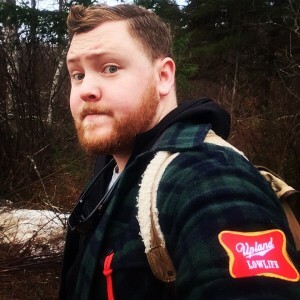 He has written for The Pointing Dog Journal, Michigan’s Woods and Waters News, ESPN.com and a host of other outdoor publications and is currently working on a book of his humor pieces that have been published in the aforementioned magazines. 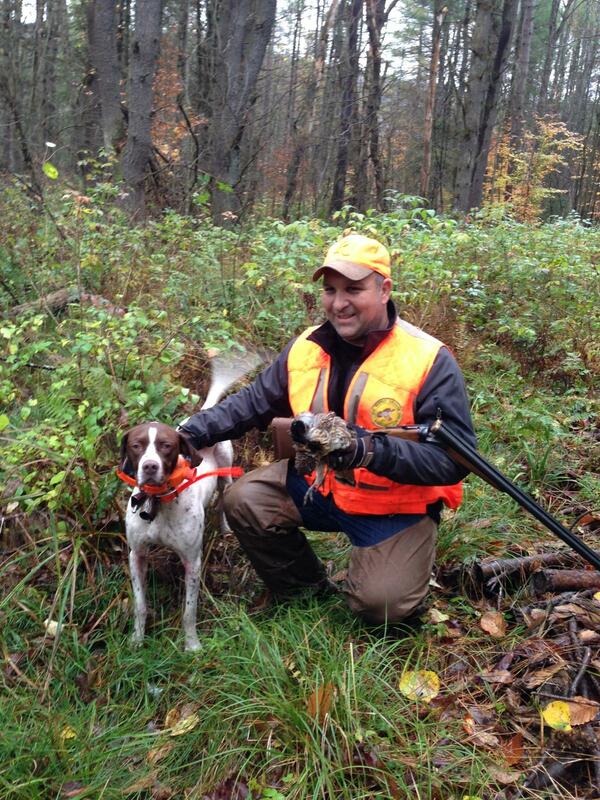 About hunting: While baptized as a grouse hunter, he occasionally seeks out quail and pheasant as well. Essentially, if birds, guns and dogs are involved, he’s there. Still, the moist earthy smell of the northern grouse woods in October is a siren call and feels more like home to him than any other place in the world. About guns: He uses an SKB 505 over/under in 20 gauge for just about all of his shooting. Like most uplanders, he always has a little bit of lust for fine doubles, but can’t justify buying a new gun when the current one reliably does the job. Still, the thought of a side by side intrigues him and one just may have to find a place in his gun safe at some point. 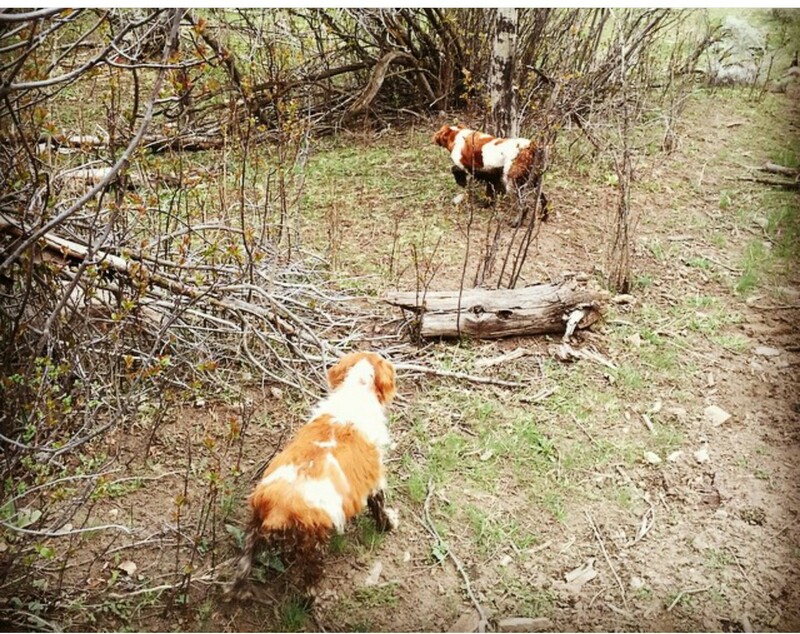 Dogs: There are dogs, there are bird dogs and then there are grouse dogs. Most hunters only have one or two great ones in a lifetime. While an aficionado of English Pointers, he believes great bird dogs can come from any breed. As long as the breeding produces an intelligent dog with drive, training and experience will do the rest. He currently has 3 English Pointers, two of which are Elhew and one out of Miller’s lines. Nice blog you have here! Looking forward to the hunting season! You can make your bones by having a successful season…..good luck and thank you for the compliment bro! if you write…let me know we need some Canadian writing/report.